« Oneida Products As Low As $2.39 With This HUGE Sale & Coupon Code! Looking for something different to try for dinner? How about a recipe that is healthy, low fat and gluten free? 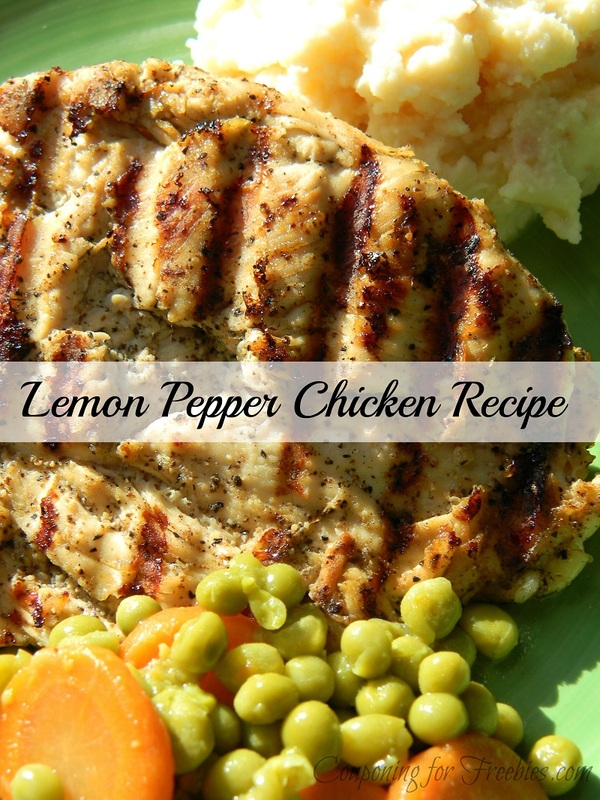 Well then you will want to try my Lemon Pepper Chicken recipe. It is easy to make and uses 3 ingredients. Oh and it only takes 30 minutes or less to make! This recipe was made out of the need to find healthy, low fat foods for my new lifestyle/diet change. Take your chicken and lay it in plastic wrap or plastic bag. With meat hammer lightly pound until chicken is thinned out. Now in large mixing bowl, place the chicken in and sprinkle the pepper and lemon juice over the chicken. Use a fork to turn the pieces over until they are fully coated. Let set for 15 minutes. Tip for juicing the lemon: Have lemon at room temperature, then roll and squeeze in your hand. Kind of like a stress ball. This helps to free up all the juice so that it is easy to squeeze. Then cut the top of one end off and squeeze into the bowl. Now place chicken on heated indoor grill (I use a George Foreman). Let cook about 8 – 10 minutes. The time can differ depending on your grill. Place on plate and enjoy this healthy low fat Lemon Pepper Chicken recipe! You could also do this on a outdoor grill if it is nice out. If you are looking for more recipe ides, be sure to check out our recipe category. We have all kinds of recipes like, dinner, sweets, snacks, drinks and more! The chicken looks delicious and so easy too. I’ll have to make this for my family soon.